This sweater kit includes enough yarn to complete the sweater indicated by the finished circumference around the body. The sweater is intended to fit loosely (with 6 inches of positive ease). 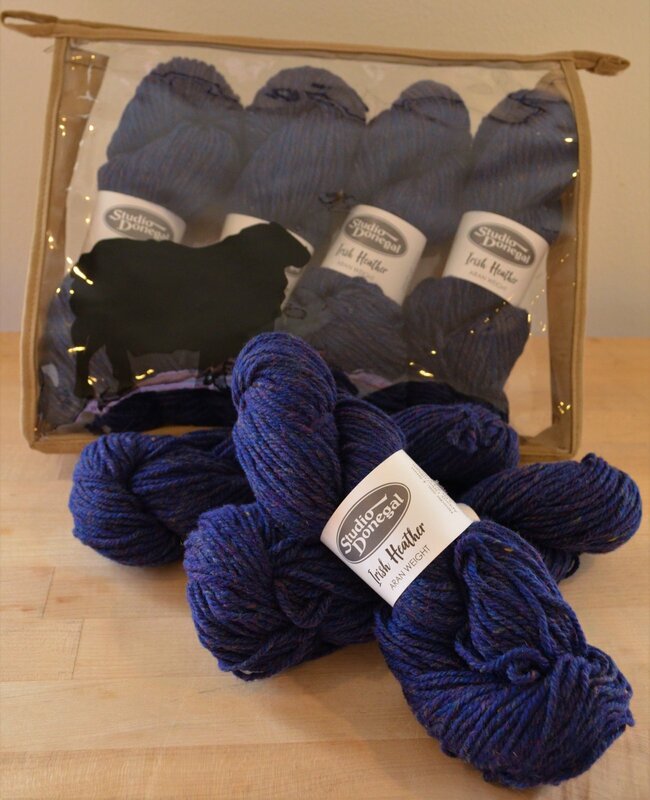 In this kit you will receive 8, 9, or 10 skeins of Studio Donegal Heather depending on the size you choose (XS-35, S-39.5, M-44, L-48 inches).